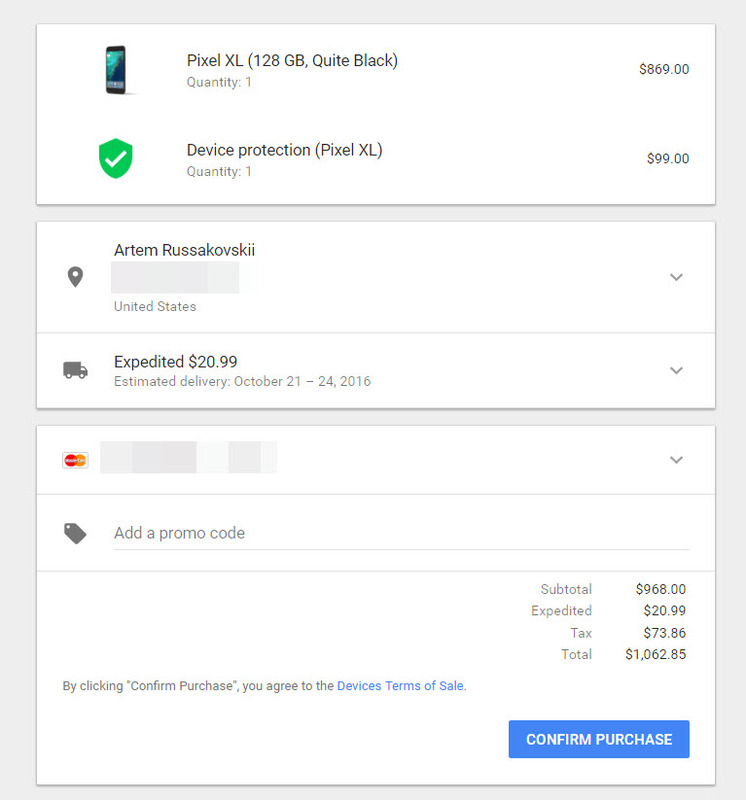 Now is the moment you've been waiting for—you can throw a ton of money at Google to secure your Pixel or Pixel XL. The listing is live on the Google Store, which also gives us a full rundown of pricing. 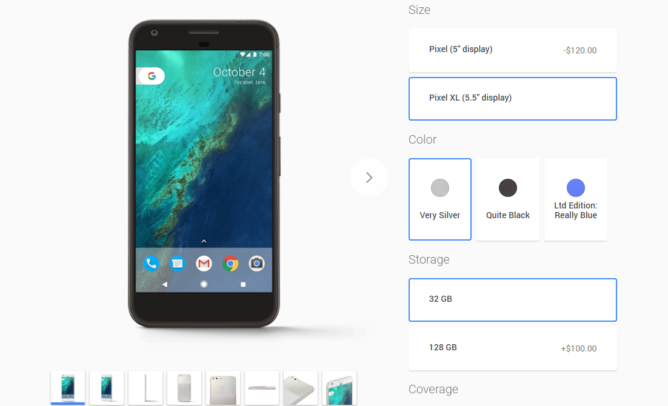 The Pixel starts at $649 and the Pixel XL starts at $769. Yeah, they are spendy phones. There's just one purchase screen for both Pixel phones, allowing you to customize the Pixel you want. Pick the screen size (XL is $120 more), the color (black, silver, and blue), the storage (32GB or 128GB for $100 more), and insurance ($99). You can also add Project Fi service on this screen. There are a few cases and accessories for sale in the store, but some of them aren't available yet. When checking out, you can choose between paying all at once or doing monthly payments. You will have to apply for financing, though. If you go all out with a 128GB phone and insurance, you could spend over $1000. I think financing will be a popular option. The phone ships in 2-3 weeks. 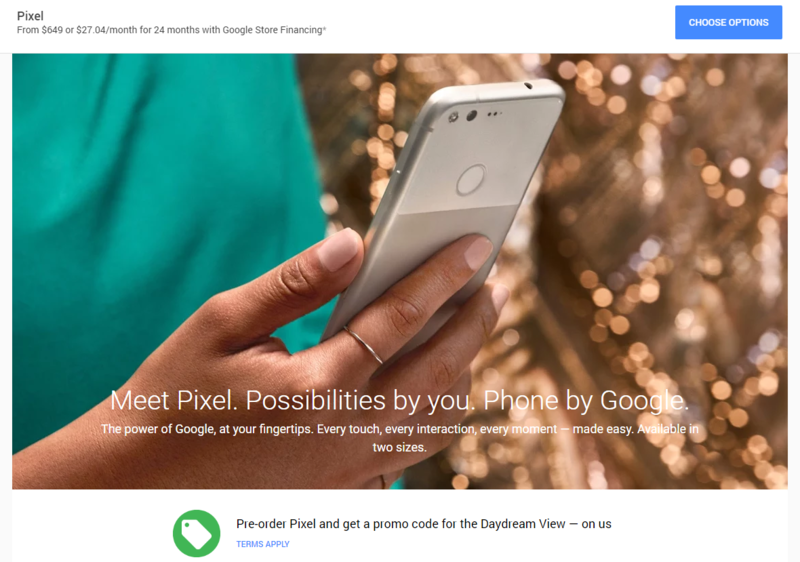 Pre-orders also get a free Daydream viewer.